Hello! This month at Club Scrap the Artist Team was challenged to use wooden elements on our projects. If you just came from Roni's blog then you're right on track for today's hop! 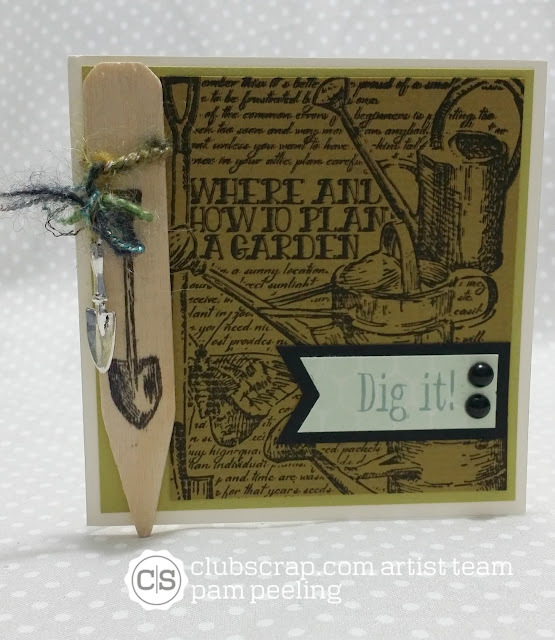 The kit for September is called Garden Shed and it's a perfect match for the challenge! 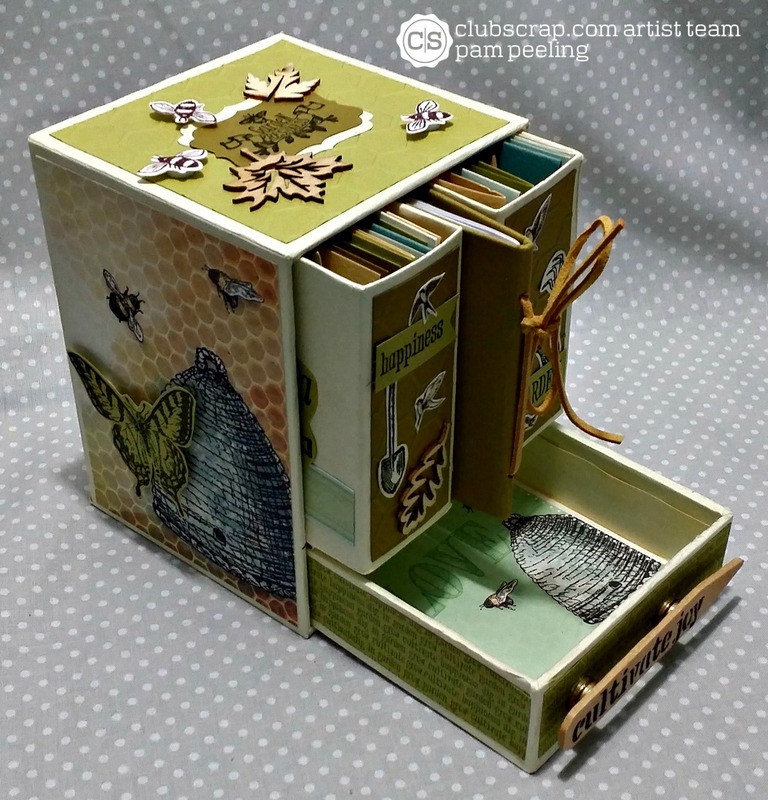 To get some inspiration for this month's project I was browsing through Pinterest and found this really cute cube with a drawer and a couple of small books. I pinned it and kept looking. After a little more looking and not finding anything as cute as that cube I settled on that. 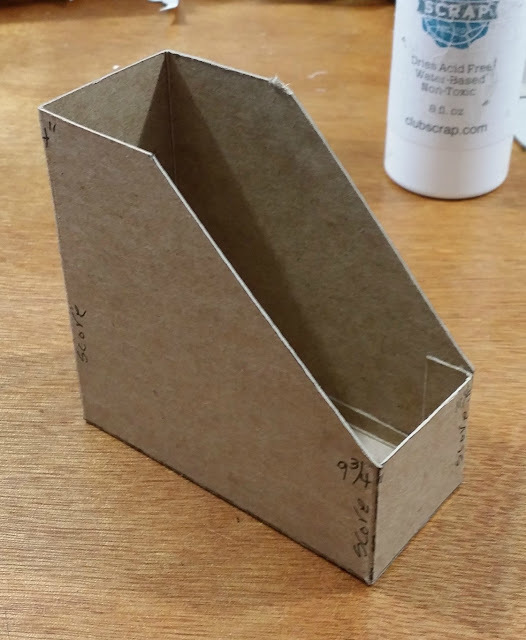 I always end up altering the projects I find and had an idea of what I wanted to do different but decided to open the pin and go to the website to see if they had any dimensions or instructions to start with. Well...it was an old Club Scrap kit from 2010! It turned out to be the "Photo Twist About." I used a variety wooden embellishments -some that I had in my stash, some from Club Scrap. My design has 2 boxes for 12 cards, a little notebook and a drawer and doesn't twist around. 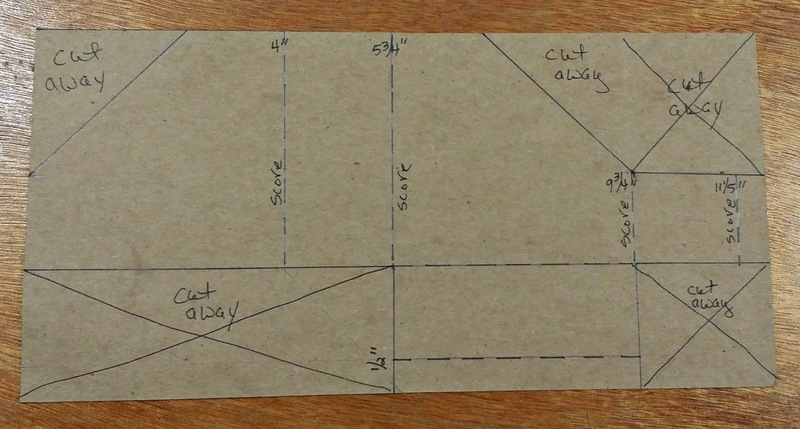 My dimensions are a little different but I basically followed the direction for the project. I used Chipboard and the original Club Scrap project used book board. You can find them HERE on Pinterest. Just click on the pin and it opens up the instruction sheet. For the boxes that hold the cards I used a thinner chipboard. Cut 2 @ 6" x 12"
Score the chipboard on the short side @ 1/2" and 2"
Score on the long side @ 4", 5 3/4", 9 3/4" and 11 1/2"
It should look like this all cut and scored. Put glue on the 1/2" tabs and fold into a box as above. 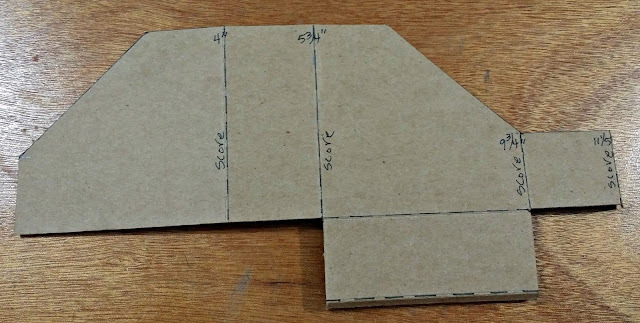 For the little notebook cut a piece of chipboard @ 4" x 8" and fold in half to make a 4" x 4" book. 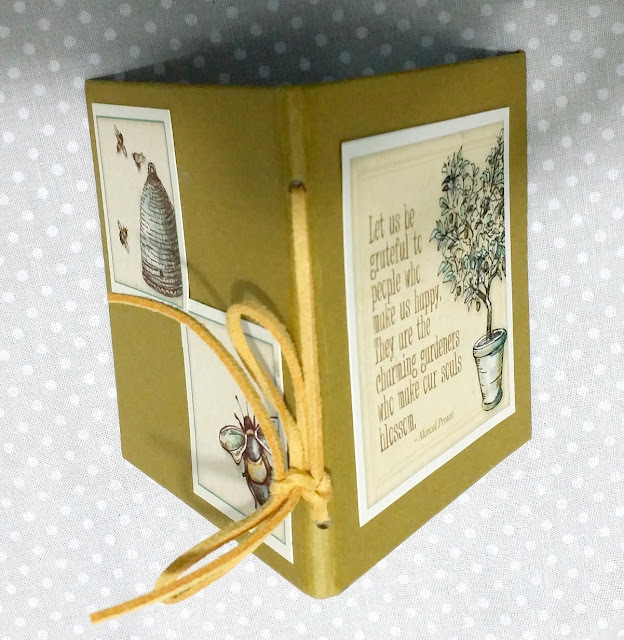 I covered it with cardstock on the outside and inside. I cut multiple sheets regular text weight white paper @ 3 3/4" x 7 3/4" and stacked them together. I folded then in half and inserted into the book. 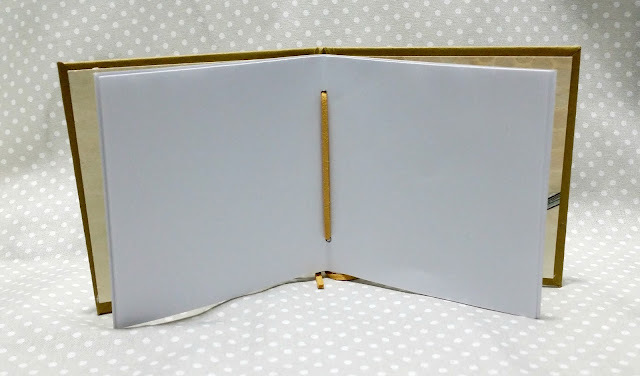 I used my crop a dial and punched 2 small holes in the fold and laced the paper in with a piece of leather cording I had left over from another kit. I made 12 - 4" x 4" cards to go in the boxes. 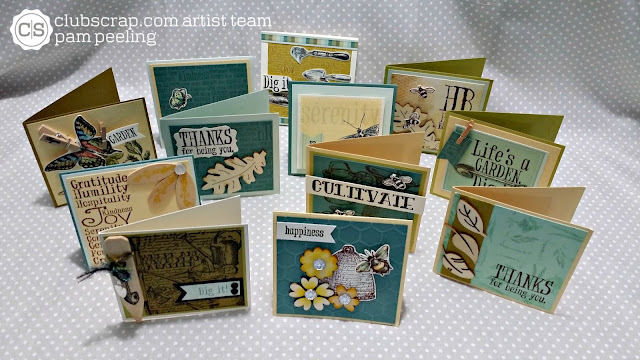 I used a bunch of different wooden embellishments for the cards. The little wooden plant stakes came with the deluxe kit. 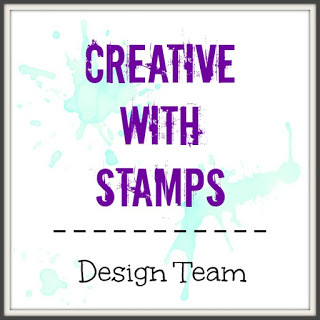 I stamped with an image from the unmounted rubber stamps. I just love those little shovel charms from Club Scrap! I used some images from the digital kit too! My 1st time using digital! These little wooden flowers are from a past Club Scrap kit. 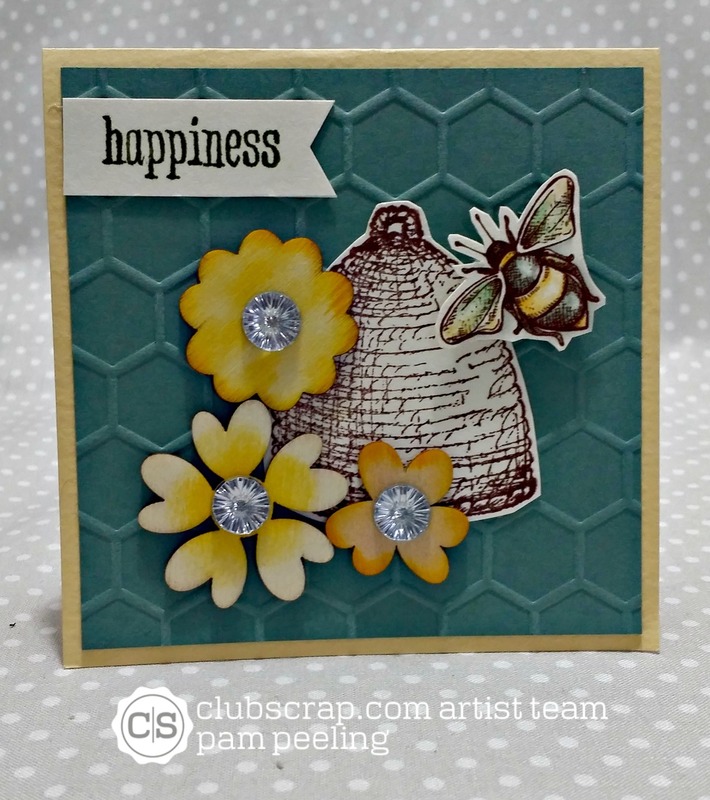 The sparkle sticker centers are from the Club Scrap Sunflowers kit. 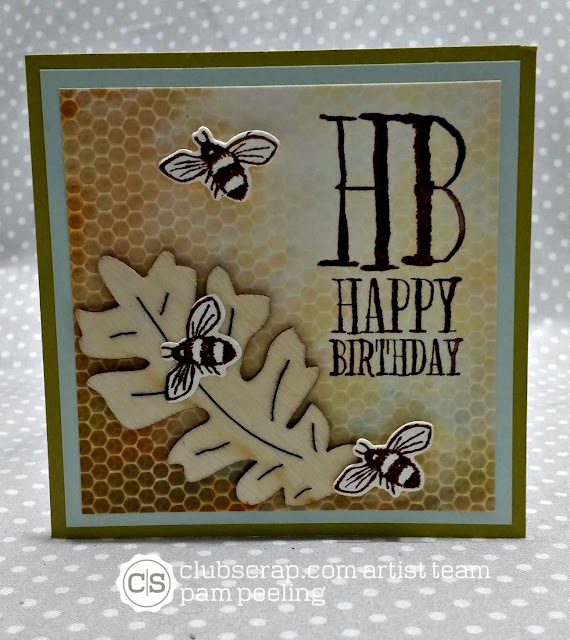 The background for this card is a digital image I printed and the sentiment is from an image from the unmounted stamps. 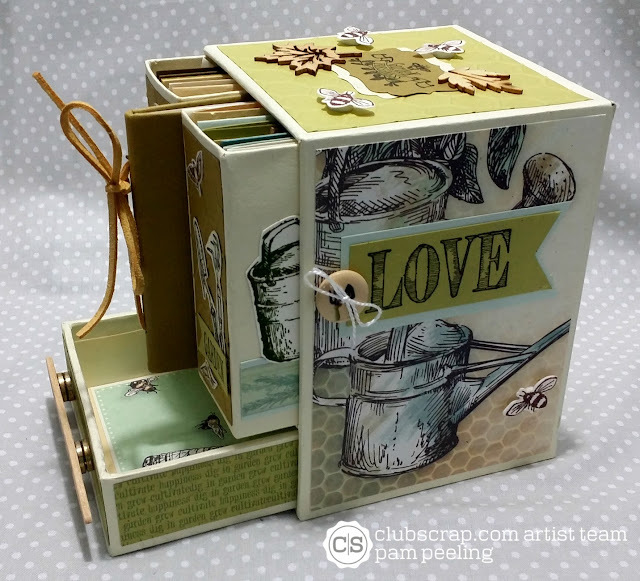 The little bees are a stamp and die cut set from Our Daily Bread Designs I got at a stamp show. 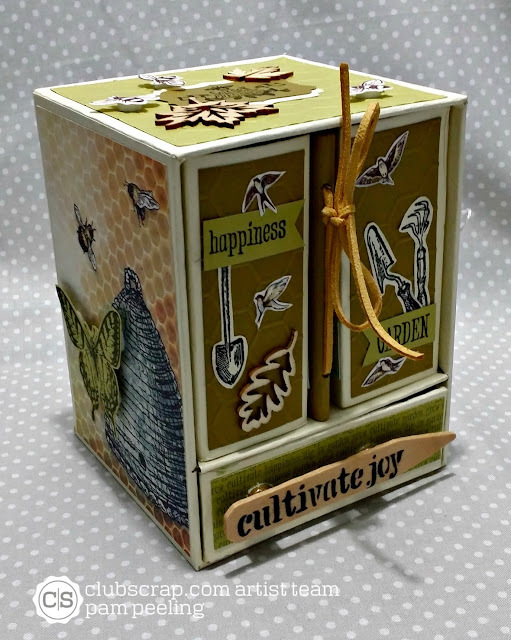 The next stop on the Blog Hop is Jennifer! PAM!!! Oh my gosh, your project turned out amazing!! You took Karen and my challenge to make it your own and NAILED IT!! 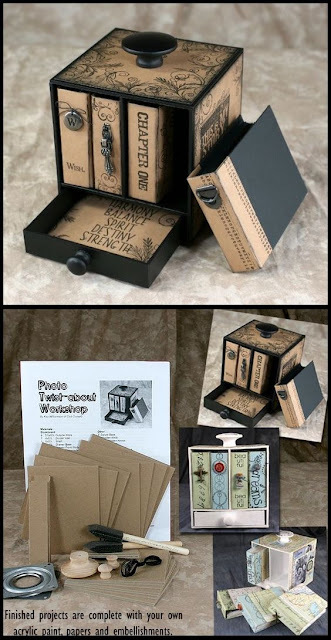 Love how you created the little boxes within the box and all of the details, simply amazing! Well done! What a fabulous album!!! I really like how you used the stick for a handle. WOW! That is such an awesome interpretation of a great project. I LOVE how it holds little cards. What a perfect gift. Incredible, Pam. I love your twist on the Twist-about!!! Bravo! You knocked it out of the park, Pam! I love how you took this project and made it your own. 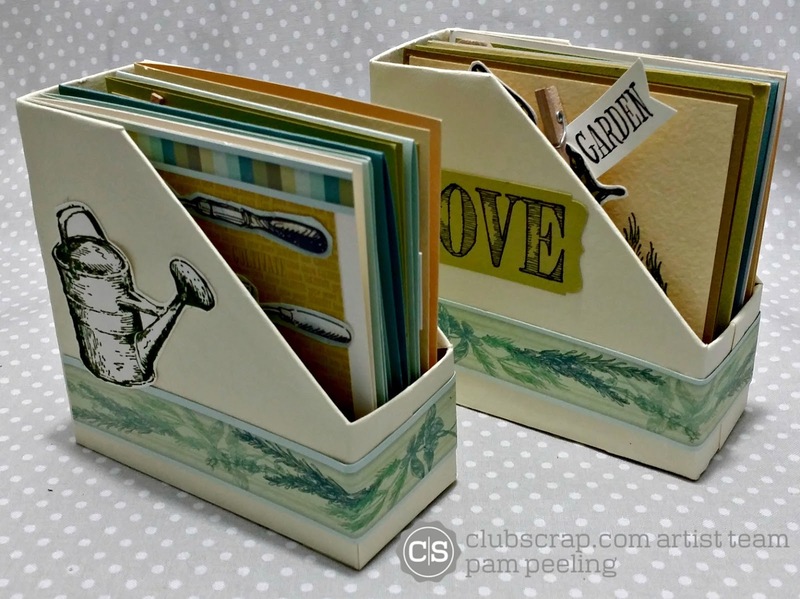 The card storage option is so clever, and the gift-giving potential is awesome. Way to go. Oops! I forgot to add that I love your cards, too. Lots of inspiration there. What a great project Pam! I'd love to see it in person so I could "play" with it! Thanks for sharing instructions! What an amazing project! It is super from the box all the way down to each card you made! Amazing doesn't even BEGIN to describe how wonderful this project is!!! How BRILLIANT!!! I love every.single.thing about it--the re-imagined project (which is one of my favorites, by the way), the inserts, the cards--EVERYTHING!!! WONDERFUL JOB!!! That was a favorite project of mine! Makes for a wonderful gift. You hit a homerun with your version! Wow wow wow, this is a beautiful Project Pam! I just love everything about it. Each part by itself is a beauty, but all together is awesome. Wowsers - this is totally right up my alley - love every little thing about it. 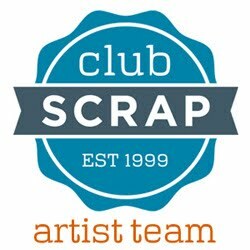 This was one of my favorite projects ever from Club Scrap! I'm glad you found the pin and I love your take on it. Great job! p.s. I also really love your drawer handle idea, too!